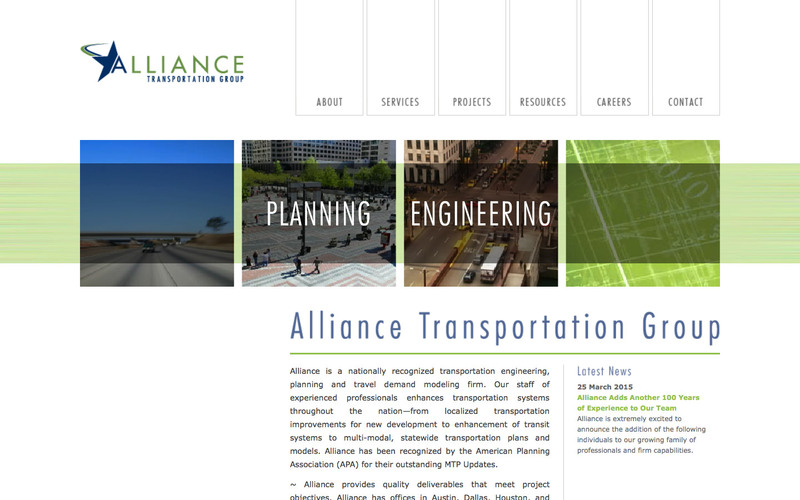 Alliance Transportation Group is a nationally recognized transportation engineering, planning ,and travel demand modeling firm. 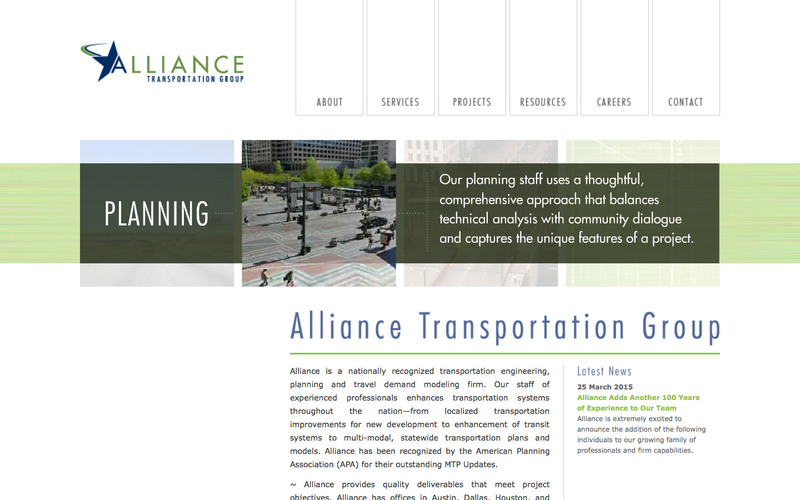 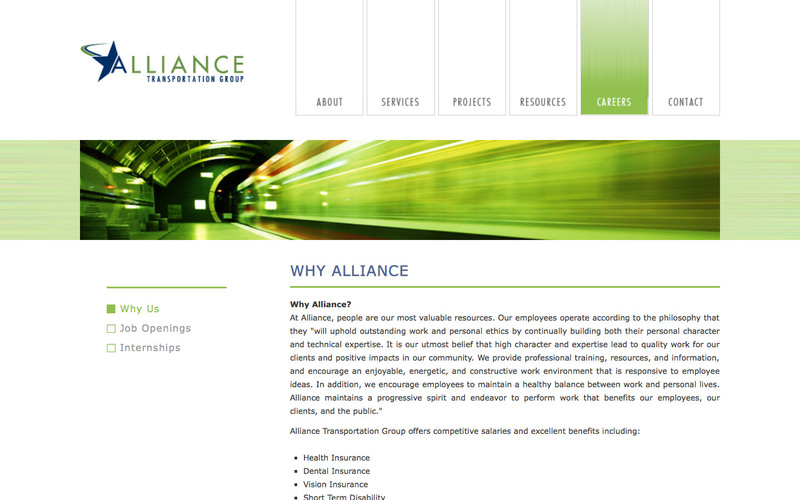 The challenge for this site was to take a data-focused company and integrate their Website with imagery. 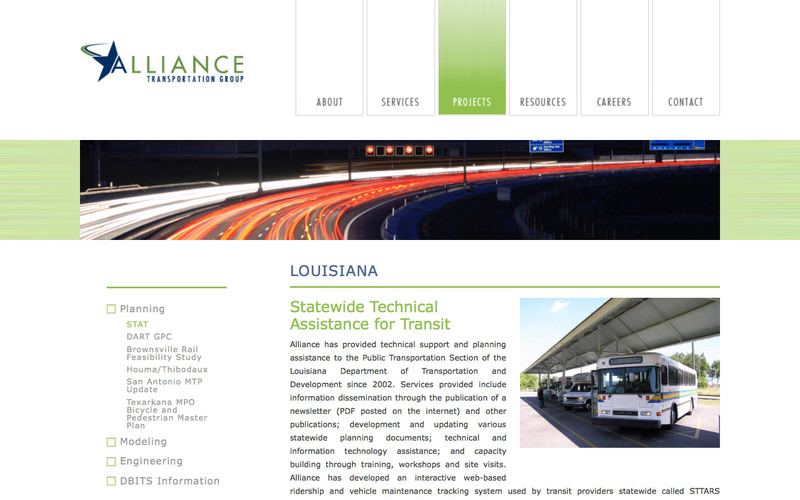 The solution was to show motion and speed with motion-blurred images and high-speed videos of various traffic systems to quickly engage the user in an interactive animation. 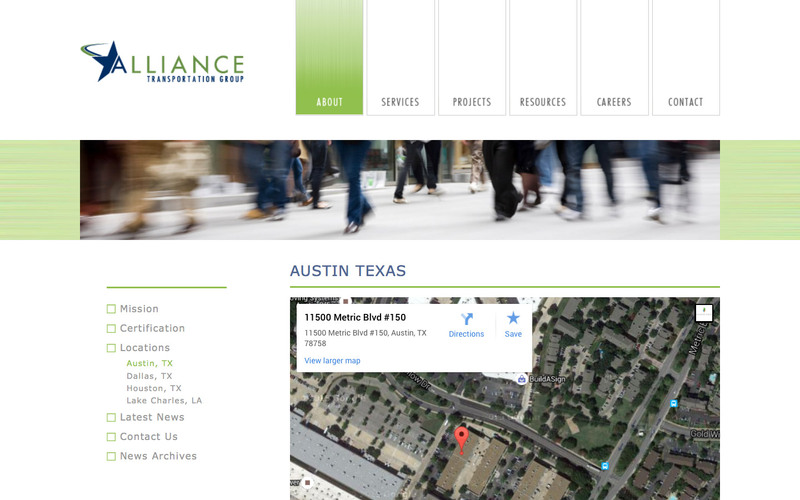 The site highlights their projects, services, and locations.